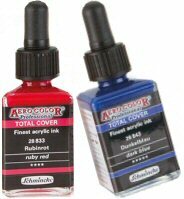 Aero Color Professional are liquid, intensely coloured and highly lightfast acrylic inks. 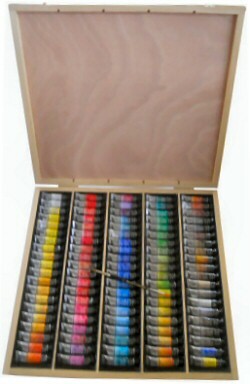 They can be used for acrylic painting, sketching, airbrushing and mixed-media techniques. They are suitable for application by brush, dip pens, technical pens, pouring and with an airbrush. There are 36 standard shades, 12 Total Cover opaque shades and also a wonderful range of 24 effect colours including Pearl, Metallic and Shine (mother of pearl effect). 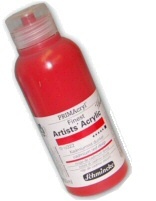 Primacryl Fluid provides all of the premium benefits of the heavy body acrylic in a more fluid consistency. Primacryl Fluid is approximately the consistency of cream and provides exceptional flow and workability. All colours in the range are rated four or five stars for lightfastness ensuring the quality expected of Schmincke paints. Pilot Drawing Pens are great for sketching, illustration, and design work. The bold, water-based pigment ink gives strong color and is quick-drying, water-resistant, and lightfast. The unique pen cap contains a system that circulates the ink in the pen tip while the pen is capped. This prevents the tip from drying out while not in use, so that the next time you write, the pen will deliver a smooth line from the very start. 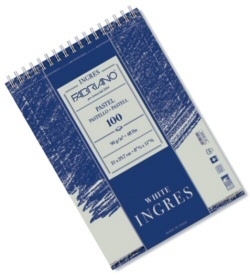 An extremely smooth acid free paper which is bright white and made of 100% cellulose. 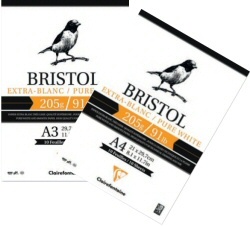 Ideal for illustration or technical drawing with pencil, ink, pen, felt tip and nib. Enables repeated corrections without going fluffy. 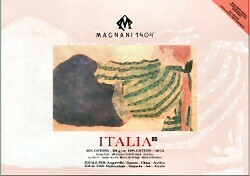 Magnani have been making paper in Italy since 1404 and their Acquerello paper is one of the strongest archival watercolour papers available to artists. It is 300gsm, 100% cotton, free from optical brighteners, internally and externally sized, pH neutral, acid free and chlorine free. 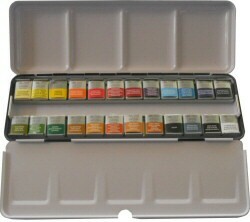 The set has been reduced Winsor & Newton artists watercolours are extremely popular. They provide reliable, predictable and consistent quality right across the range. A watercolour you can rely on. Sennelier l'Aquarelle is a honey based watercolour which is luminous, brilliant and intense. The addition of honey also makes it a very smooth paint to work with. Another advantage of the addition of honey is that the paint stays wet longer on the palette and makes it easier to reconstitute if it has dried.